Jobs and positions for licensed and certified Pharmacy Technicians are currently available throughout the Miami area in South Florida. HealthCare Consultants Pharmacy Staffing is a nationally renowned pharmacy staffing company that has been a leader in matching qualified pharmacy technician candidates to the right job opportunity and employer for over 27 years. Headquartered in Central Florida, HCC has an in-house team of trained consultants that assist registered technicians in finding the job that matches their skill sets and fits their lifestyle and needs. It is estimated that there are 4,000 pharmacies in Florida and that approximately 30% are located in South Florida. The Miami area spans the three most populous counties in Florida (Miami-Dade, Broward, and Palm Beach counties) and is synonymous with South Florida as the fourth largest urban area in the entire United States. With a population approaching six million people, the Miami area is known for its beaches, International culture, sports, climate and lifestyle. When talking about employment opportunities and pharmacy technician jobs in the Miami area, included are major cities such as Fort Lauderdale, Boca Raton, West Pam Beach, Hollywood, Hialeah, Pompano Beach and Homestead. Yet the Miami area includes numerous additional smaller cities that include Boynton Beach, Delray Beach, Deerfield Beach, Plantation, Aventura, Pembroke Pines, Sunrise, Miramar, Opa-locka, Tamarac, Dania and many others. In all of these cities are opportunities and jobs for qualified licensed and certified Registered Pharmacy Technicians and CPhT’s. 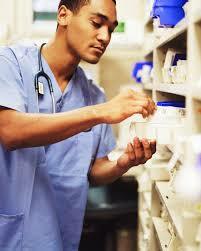 There are an estimated 10,000+ pharmacy technician jobs in the Miami and South Florida area. These technician positions include every type of pharmacy setting: independent retail community pharmacies, retail chain pharmacies, institutional and hospital pharmacies, specialty pharmacies such as compounding pharmacies, IV infusion pharmacies and mail-order pharmacy operations. Additional pharmacy technicians jobs in South Florida exist in ancillary industries with positions working for medical software development firms, pharmaceutical manufacturers and insurance companies that are located in the Miami area. For complete information regarding becoming a registered pharmacy technician in Florida and their tasks performed, please click here. Are you a Registered Pharmacy Tech looking for a new opportunity? HCC can place pharmacy technicians in a variety of positions throughout South Florida, including current pharmacy technician job openings in the Miami area. Call us now at (800) 642-1652 or click here to let us know your availability and we’ll get back with you right away to discuss the best opportunities to match your skills and needs.